Lennart Ootes is from the Netherlands and he is one of the really skilled and creative people in the chess world. He has worked for many major tournaments where he covers different roles. You can follow Lennart’s chess and travel experiences on Twitter (https://twitter.com/lennartootes) and Instagram (https://www.instagram.com/lennartootes). 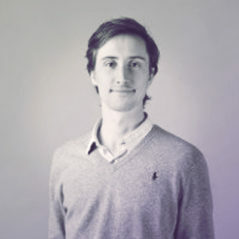 Camille Victor Prunier launched a web agency called “Pnkt” in 2015 with Daniel Skogly and Bjørn Fjellstad. Since then, they have been working with over 30 Norwegian clients, including several chess projects such as Play Magnus, The Fischer Random match and of course Norway Chess. 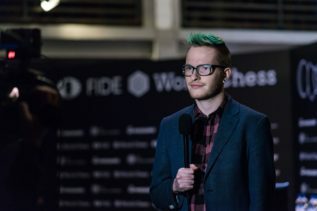 Since 2017, they have been designing new features for the Norway Chess website as well as the players’ portraits. For the 2018 edition, Camille will also be handling social media during the tournament.